SURREY, B.C. — Hidden among the stylish cul de sacs in suburban Surrey, a thriving vegetable farm sits that has been in the Zaklan family for 90 years. 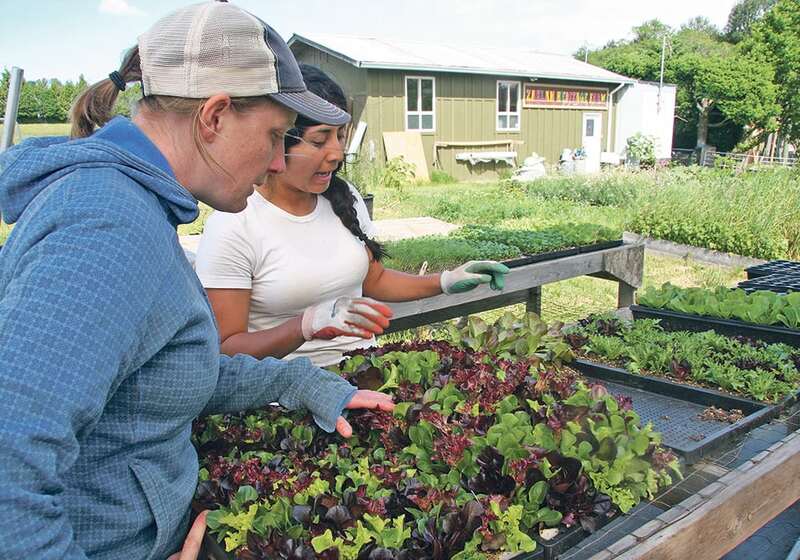 For the last six years, Doug Zaklan and Gemma McNeill have been farming eight acres of land growing a variety of vegetables in fields and greenhouses within the city. 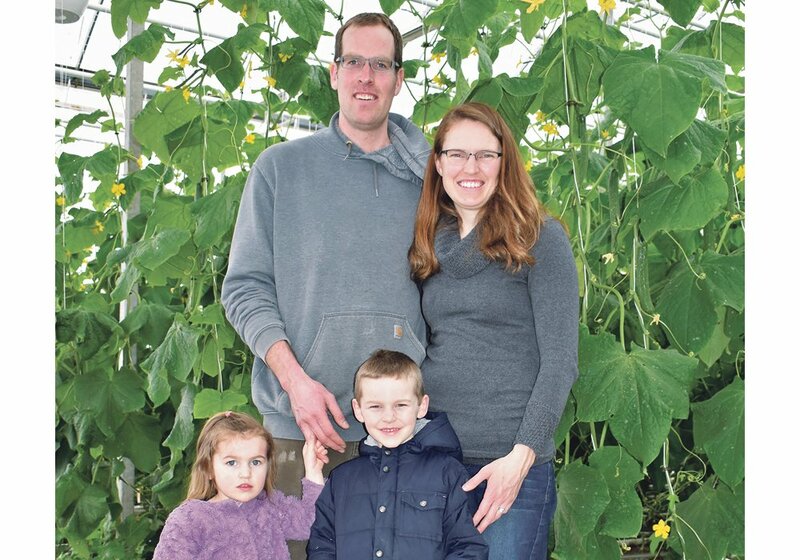 They were nominees in British Columbia’s outstanding young farmer program. The two met at the University of British Columbia where they were studying sustainable agriculture. Zaklan was involved in the university farm practicum program and she was pursing an agriculture degree. When they wanted to take over, the Zaklan family was supportive because it meant rebuilding a heritage farm that no one wanted to lose. Zaklan’s parents were teachers and the land had not been actively farmed for some time. The original farm was a 20 acre parcel of newly cleared land bought by Zaklan’s great-grandparents in the 1920s. Part of it was sold off and was absorbed by the city. The farm is not protected by the provincial agriculture land reserve but the local municipality and neighbours support it. Zaklan and McNeill farm an acre and a half for vegetables and greenhouses and also keep pasture chickens. While the older Zaklans are available to help, three extra people were hired for seeding, harvesting and greenhouse work. “We don’t have trouble finding staff because we are close to an urban centre. 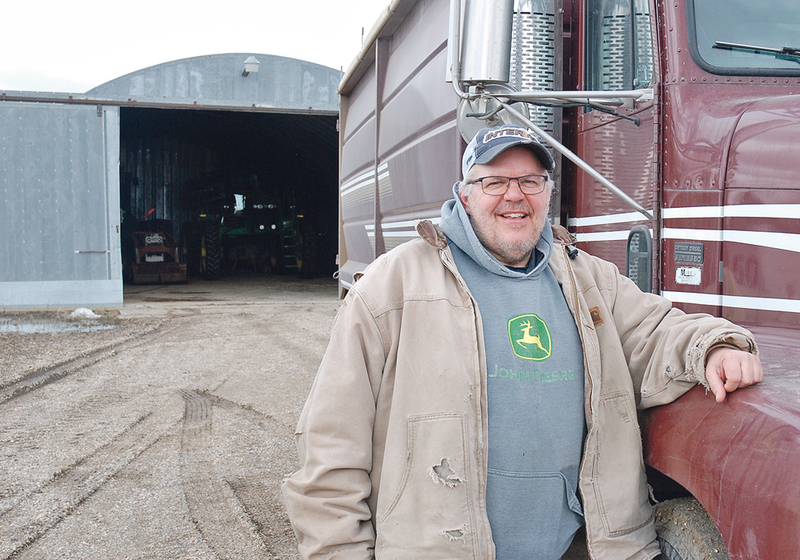 If you are young and interested in farming, we are a story of starting from nothing without any debt and I think that is inspiring for people,” Doug said. Admitting they were somewhat naïve when they started, they worried throughout their first year whether they would be able to build a viable business. It turned out to be a success and they have grown every year expanding production and becoming more efficient. 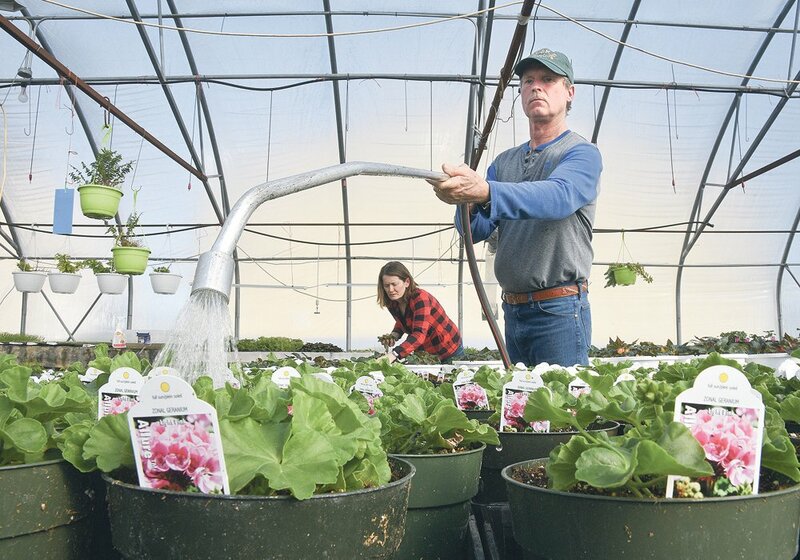 They have developed a seven-year crop rotation and upgraded the greenhouses with heated tables so they can start seedlings sooner. “If I started again it would be 50 percent greenhouse because you have a lot more control,” Zaklan said. They could also supply more vegetables in the winter and worry less about the weather. “We started small and each year we would look at past projects. Each year we got a little more productive and decided what is the one tool that would make us more productive. 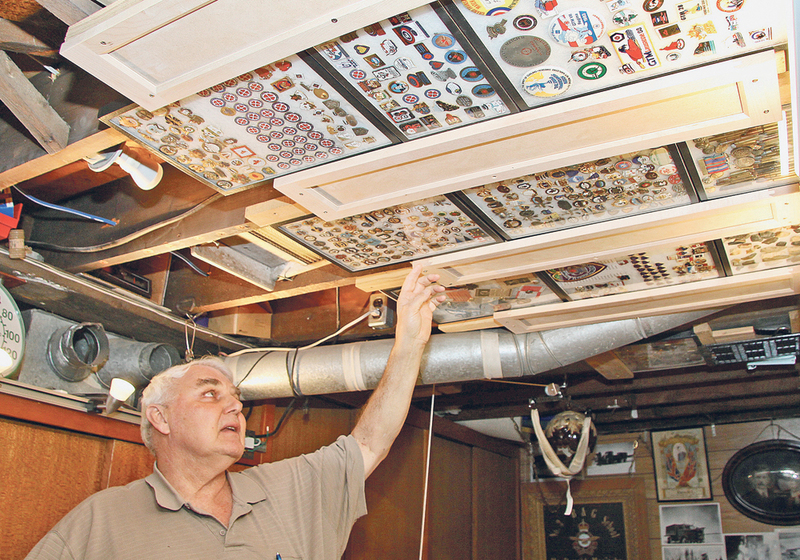 Over time, we haven’t had a lot of overhead and we don’t have a mortgage so we could take that money and invest it in the business,” he said. “Our farm model is very much about efficiency. We want to be able to walk from the barn to the field with a maximum of 500 feet. If we had to get in the car and drive somewhere and haul an implement or fertilizer or irrigation pipes, it just wouldn’t make sense,” he said. Not having to pay a mortgage on the high-priced property is key. “We are really lucky because we are on family owned land. If we wanted to own land it would be nearly impossible,” McNeill said. Farm land in the Surrey area sells for about $100,000 per acre, which they argue discourages agriculture. “We are not going to be able to grow food. We have some of the best agriculture land in the county and what are we doing about it? It is really frustrating and demoralizing,” she said. They are involved with a group that is helping young farmers link with those who have land available. “The new entrants in farming are not necessarily from farming backgrounds. People who are farming like we are, are coming from urban centres and don’t have land they are inheriting,” she said. McNeill and Zaklan both studied agriculture, but they both had to learn how to adapt to local conditions for more production and efficiency. 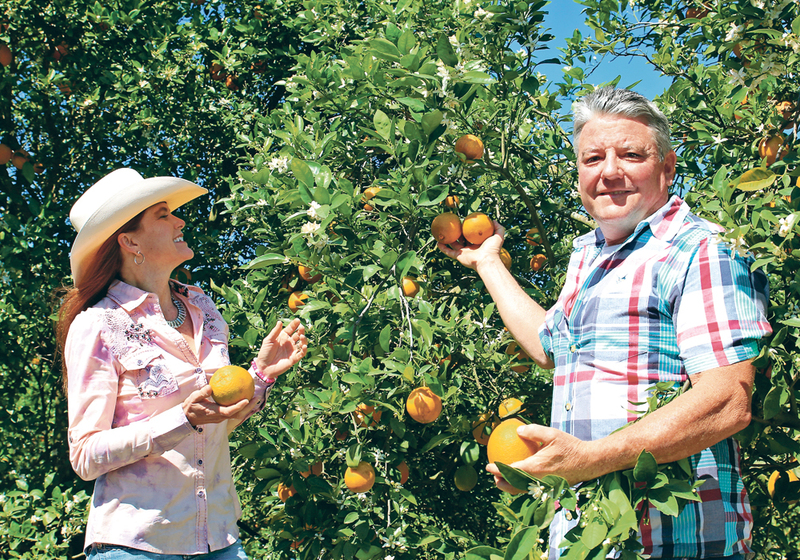 They follow organic standards but the farm is not certified. They start seeding in mid March in the greenhouse and plugs are later transplanted into fields. They buy seeds from many different sources and each year they set up small research plots to test new plants. “We are always looking for companies that are growing interesting cultivars. The restaurant industry has really pushed the frontier of something different,” McNeill said. Their products are available from April to December and are sold to restaurants and through a community-shared agriculture project, in which they provide fruit and vegetables to 50 families for 20 weeks starting at the end of May. “As we figured out our marketing channels, we tailored our growing plans,” she said. Harvest starts early and this year they were picking peas on May 29 that were planted in the ground mid March. They use drip irrigation and water is supplied by the city. However there are water limitations, so they do not have the capacity to irrigate more. By the end of May, the fields were full of lettuces, carrots, garlic, onions, melons, peas, beans, kale, radishes and fababeans at various stages of growth. The plants are thriving thanks to the recent purchase of a Japanese transplanter where each plant is evenly spaced in the rows so no thinning is required. They also use succession planting so crops are ready for longer throughout the growing season. The couple is always exploring new ways of doing things, while keeping an eye on the bottom line. “It is a whole different way to look at ways to be more productive. Instead of trying to have larger fields or grow more, we are growing the right amount for when you need it rather than putting energy onto things that aren’t going to sell,” Zaklan said.